Two days after Canadian citizen Sun Qian was arrested in China last February, her husband allegedly stole 2 billion yuan in shares that belonged to Sun from their jointly owned company and had her removed from the board by forging her signature. The husband, Shen Guangqian, is one of the witnesses appointed by the state to testify against Sun at her upcoming show trial—something her lawyer argued against during a pre-trial hearing in Beijing on April 23. Other witnesses include Shen’s girlfriend and her niece, as well as some of Shen’s subordinates at Beijing Leadman Biochemistry, the multi-billion-dollar company of which he was chairman and CEO, while Sun was vice-president. Last month, the company was transferred into the name of Shen’s son from a previous marriage. The company was founded by Sun and her family members in 1994. She married Shen a year later. A resident of Vancouver who became a citizen in 2007, Sun, 52, was detained in China on Feb. 19, 2017, for practising the traditional spiritual discipline Falun Gong, also called Falun Dafa. She has since been held at the No. 1 Detention Centre in Beijing. According to one of Sun’s family members, it was Shen who reported Sun to the authorities for practising Falun Gong, knowing she would be arrested. Sun’s lawyer stated at the hearing that her family has filed multiple legal complaints over Shen having swindled the business from Sun, who was the driving force behind its success. However, the complaints fell on deaf ears, says Sun’s sister, Sun Zan. Instead, Sun is being treated as the criminal. 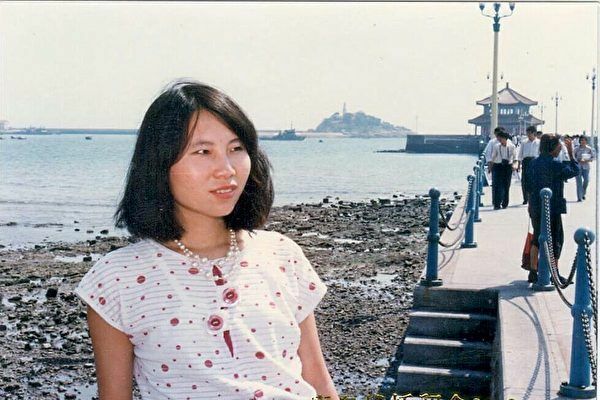 “My sister’s husband colluded with certain individuals in the public security bureau, using the policy of suppressing Falun Gong to bring about Sun’s illegal detention and prosecution. In the meantime, Shen forged Sun’s signature and produced a fake document, thereby gaining 2 billion in assets,” she said in an interview. Sun Zan added that Shen had been having extra-marital affairs for years and the couple had actually been discussing divorce. During the April 23 hearing, Sun’s lawyer also pointed out that practising Falun Gong does not violate any law or the Chinese constitution. According to B.C.-based lawyer and China analyst Clive Ansley, that will hold little sway with the court because Falun Gong cases are pre-decided and trials are just for show. The larger issue, he said, is that practising Falun Gong is not a crime. After she started practising Falun Gong, Sun experienced improved health, with abdominal problems and a series of liver and heart ailments disappearing, according to her sister. Her depression also improved; she became more kind and tolerant and was better able to handle her husband’s affairs. Since being detained, Sun has been shackled, handcuffed to a steel chair, and continuously pepper-sprayed in the face, among other abuses. She was also forced to undergo brainwashing sessions earlier this year. Sun’s trial is expected to take place in Beijing sometime in the next few months.